Effect of meditation on the brain structure can be broken up into two categories: short-term changes and long-term changes. In this article we focused our attention both on short term and the long term impact of meditation on brain structure. There are three types of meditation practices. The first is the Open Monitoring or Mindfulness Meditation (MM), which involves the detached, non-judgmental witnessing of thoughts, feelings, and sensations over the entire phenomenal field. The second is Focused Attention or Concentration Meditation (CM), which involves focusing on a meditative object such as certain thought constructs (prayers), internal image, mantra (a repeated sound), specific body sensations (e.g., the breath) and various emotions (e.g., joy). The third one is the combination of concentration meditation and mindfulness meditation (e.g., chakra meditation). Different meditation techniques require different cognitive processes and thus produce different effects on brain structure. But, despite differences in meditation techniques and underlying cognitive processes, it has been observed that all meditation techniques share a primary process that supports their common goal, that is, inducing relaxation, regulating attention, and developing an attitude of detachment from one’s own thoughts. Executive functions, attention, problem solving, planning and memory are the main functional areas of all meditation practices. The first question we tried to answer is which brain areas are activated during mediation. The simple answer is that the occipital and the frontal lobes are more highly activated during any meditation. We observe that anterior cingulate cortex (ACC), insula, ventromedial prefrontal cortex (vmPFC), and angular gyrus are the five main areas activated during meditation. For certain mantra meditation we observed deactivation of amygdala. 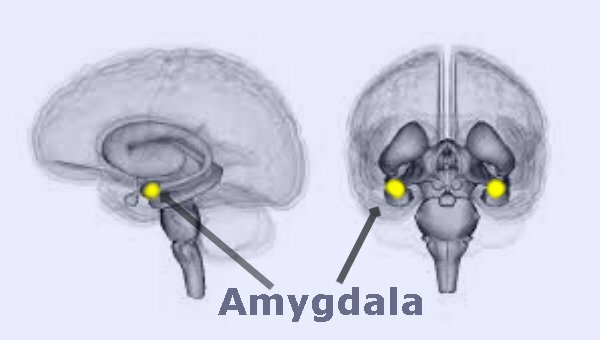 The amygdala is an almond-shape set of neurons located deep in the brain’s medial temporal lobe. Conditions such as anxiety, depression, stress disorder, and phobias are linked to amygdala. Amygdala is responsible for “fight-or-flight” response. However, we observed that anterior insular cortex (AIC) is the key neural mechanism associated with all types of awareness meditations. The insular cortex is a large and highly interconnected structure, deeply embedded in the brain. We observed different spatial and temporal delays during meditation and insula activations. Insula of the brain monitors bodily sensations and is involved in experiencing “gut-level” feelings. Insula is also involved in the experience of empathy. 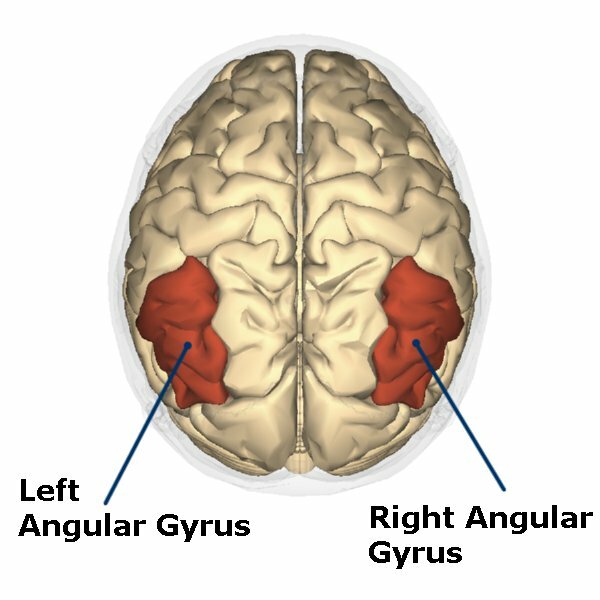 Normally, angular gyrus is involved in a number of processes related to language, number processing and spatial cognition, memory retrieval, and attention. 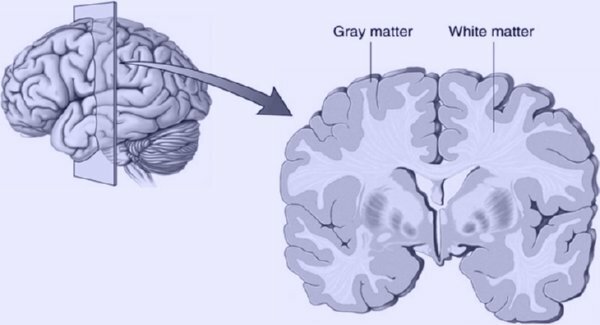 For loving kindness and other emotional nature (devotional) of meditation more gray matter activation is observed in the area of right angular gyrus. ACC is associated with cognitive functions, such as reward anticipation, decision-making, empathy, impulse control, and emotion. Meditation activates anterior cingulate cortex and decreases anxiety. 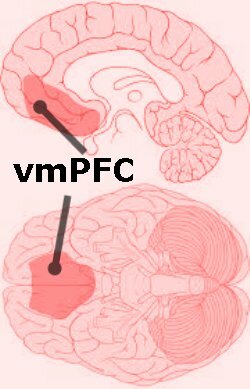 Similarly meditation activates ventromedial prefrontal cortex (vmPFC), which is responsible for releasing depressions and stresses. 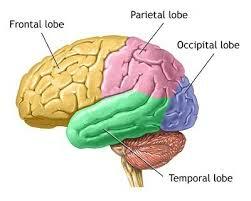 The second question we tried to answer is which brain areas are improved due to long term mediation. Several researcher observed that long-term meditators showed increased grey matter volume at the level of the posterior cingulate cortex, temporoparietal junction, angular gyrus, orbitofrontal cortex, hippocampus, and subiculum in the medial temporal lobe and the brainstem. Gyrification (the pattern and degree of cortical folding) is an important cerebral characteristic related to the geometry of the brain’s surface. It is observed that meditation practitioners who are seriously committed to a long-term practice have larger gyrification in the area of right anterior insula. Long term meditation showed greater activation in a wide brain network of areas encompassing bilaterally the frontal, parietal, and temporal regions. Long term meditator have higher activation of the areas that involved in memory formation and retrieval. Long term meditators have lower pain sensitivity and experienced analgesic effects during mindful states. Normally, the prefrontal cortex (PFC) has been linked to the evaluation and anticipation of pain sensations. 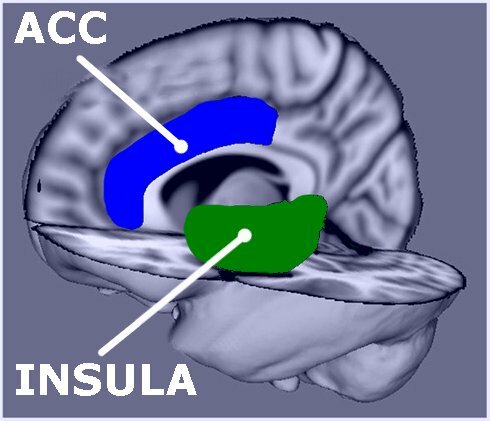 It is also observed that during pain the activation in the ACC and insula was lower with higher meditation experience. It is observed that experienced meditators had a thicker cortex than non-meditators . This was particularly true for brain areas associated with attention, interoception and sensory processing. Long-term meditation is associated with increased gray matter density in the brain stem . Lunders et. al. observed that meditators had larger gray matter volumes than non-meditators in brain areas that are associated with emotional regulation and response control (the right orbito-frontal cortex and the right hippocampus). Similarly, it is observed that long term meditation increases grey matter in the left hippocampus, a brain area strongly involved in learning and memory . 2. Lazar, S. W., Kerr, C. E., Wasserman, R. H., Gray, J. R., Greve, D. N., Treadway, M. T., … & Fischl, B. (2005). Meditation experience is associated with increased cortical thickness. Neuroreport, 16(17), 1893-1897. 3. Vestergaard-Poulsen, P., van Beek, M., Skewes, J., Bjarkam, C. R., Stubberup, M., Bertelsen, J., & Roepstorff, A. (2009). Long-term meditation is associated with increased gray matter density in the brain stem. Neuroreport, 20(2), 170-174. 4. Luders, E., Toga, A. W., Lepore, N., & Gaser, C. (2009). The underlying anatomical correlates of long-term meditation: larger hippocampal and frontal volumes of gray matter. Neuroimage, 45(3), 672-678. 5. Hölzel, B. K., Carmody, J., Vangel, M., Congleton, C., Yerramsetti, S. M., Gard, T., & Lazar, S. W. (2011). Mindfulness practice leads to increases in regional brain gray matter density. Psychiatry Research: Neuroimaging, 191(1), 36-43. 6. Tang, Y. Y., Lu, Q., Fan, M., Yang, Y., & Posner, M. I. (2012). Mechanisms of white matter changes induced by meditation. Proceedings of the National Academy of Sciences, 109(26), 10570-10574. 7. Leung, M. K., Chan, C. C., Yin, J., Lee, C. F., So, K. F., and Lee, T. M. (2013). Increased gray matter volume in the right angular and posterior parahippocampal gyri in loving-kindness meditators. Soc. Cogn. Affect. Neurosci. 8, 34–39. This entry was posted in Articles, Health, How to Meditate, Mantra Meditation, Meditation, Meditation Research, Mindfulness Meditation, OM Meditation, Vipassana Meditation and tagged amygdala, angular gyrus, angular gyrus and meditation, anterior cingulate cortex, brain functions, brain structure, gyrification, gyrification and meditation, insular cortex, Long-Term Impact of Meditation on Brain, meditation and amygdala, Meditation on Brain Structure, Short-Term Impact of Meditation on Brain, ventromedial prefrontal cortex (vmPFC). Bookmark the permalink.